In the course of a new nationwide investigation following last week's mine disaster in Siberia, Russia's environment and technology management watchdog has discovered breaches in mine regulations in Kemerovo and other regions. A nationwide investigation into Russian mines has already discovered serious breaches in safety at twelve coal mines in Siberia's Kemerovo Region. Investigators have the power to close down mines, and hold managers responsible for the safety defects. A mine in Russia's Far East Primorsky region has shown the presence of methane, the suspected prime cause of the explosion which killed 108 mine workers in Siberia . The safety watchdog, Rostehnadzor, has said any safety breaches will be grounds for halting production, and managers will be held responsible. 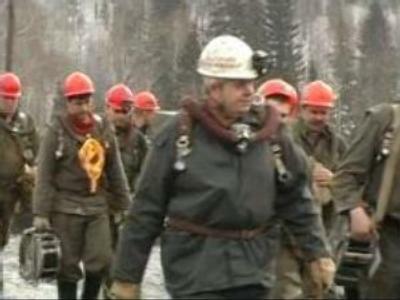 Rostekhnadzor has also announced that all coal mines in Russia will be investigated. The inspection of all coal mines in the country was ordered following the coal mine accident of March 19, which was the worst in the country since the fall of the Soviet Union. “According to preliminary findings, the cause may have been the breach of safety rules in using equipment. Because of this, it was decided that the safety procedures in all coal mines across the country will be looked at,” said Svetlana Vinokurova from the Rostekhnadzor press service. “If any breaches are found, urgent measures will be taken, including the suspension of production. The inspection of 60 mines in the Kemerovo region began on Thursday, and the inspection of other mines will start on Tuesday. According to the present law, the responsibility for safety procedures is that of the owners,” she added. The Ulyanovskaya mine was one of the newest in the country, opening in 2002. The complete findings of the investigation could be published as early as next week. Search and rescue efforts for the bodies of two workers are continuing.